It doesn’t matter if you’re a Bond girl. It doesn’t matter if you’re an award-winning playwright. It doesn’t even matter if you’ve somehow managed to recreate Shakespeare’s Globe for an indoor winter audience. 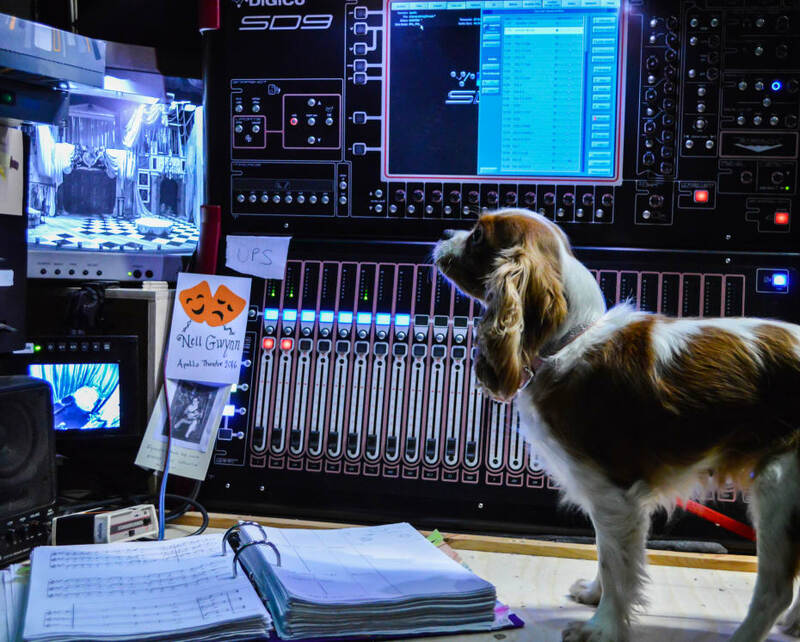 If a dog comes on stage and waves, it steal the show. 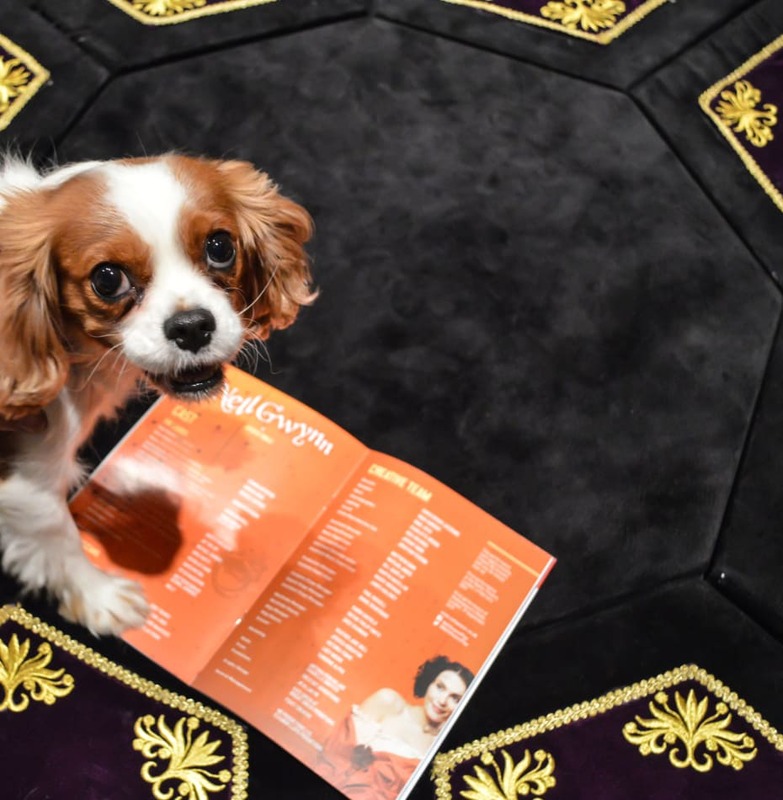 Enter Milly, professional canine actor extraordinaire and award-winning worthy waver. 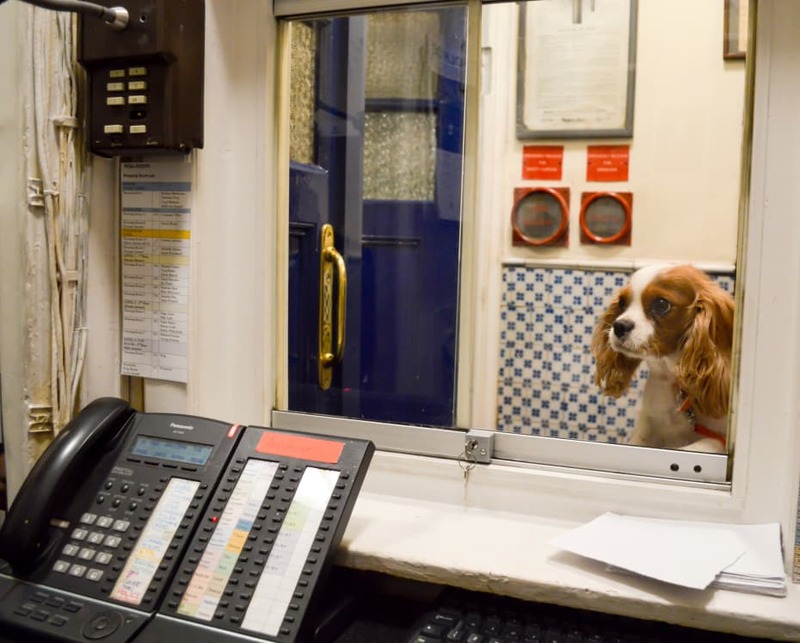 When I arrive at the Apollo Theatre, I first have to check in at the stage door. 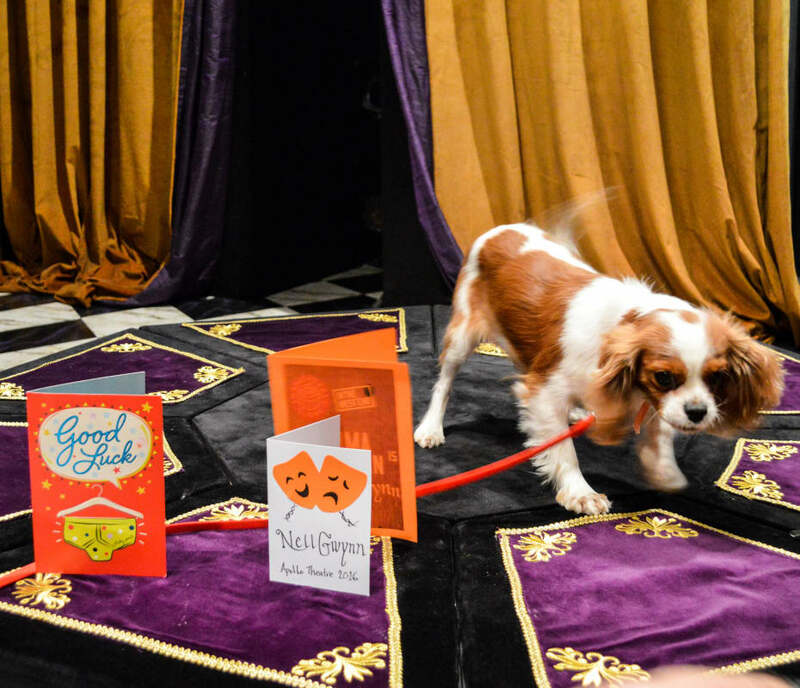 I’ve been sent lots of lovely good luck cards from all of my canine pals! Thanks all! Here’s me channelling my inner Nell Gwynn. Orange is definitely the new black. 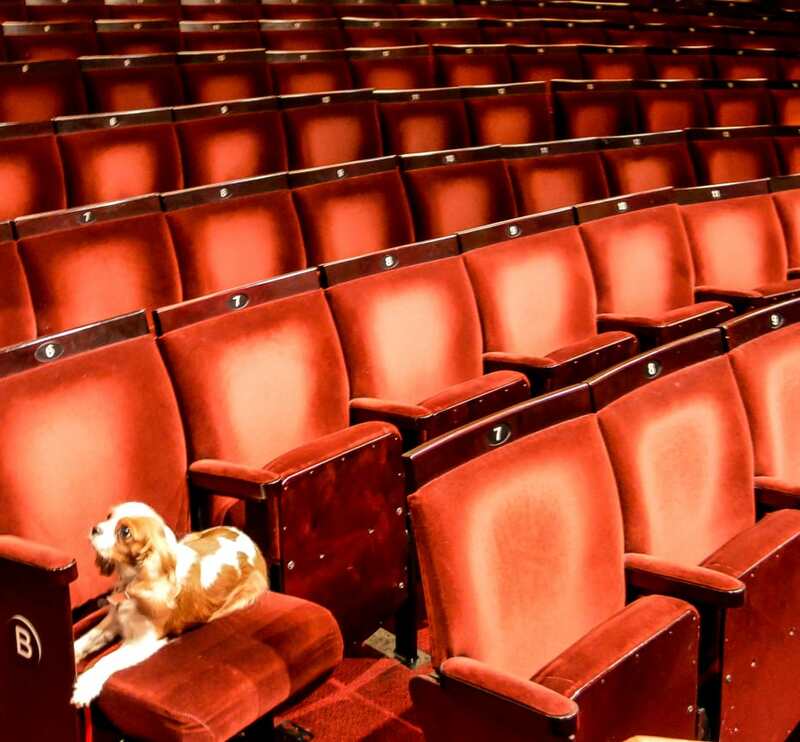 I like to test out the auditorium seats and make sure they’re comfy enough for our wonderful audiences. 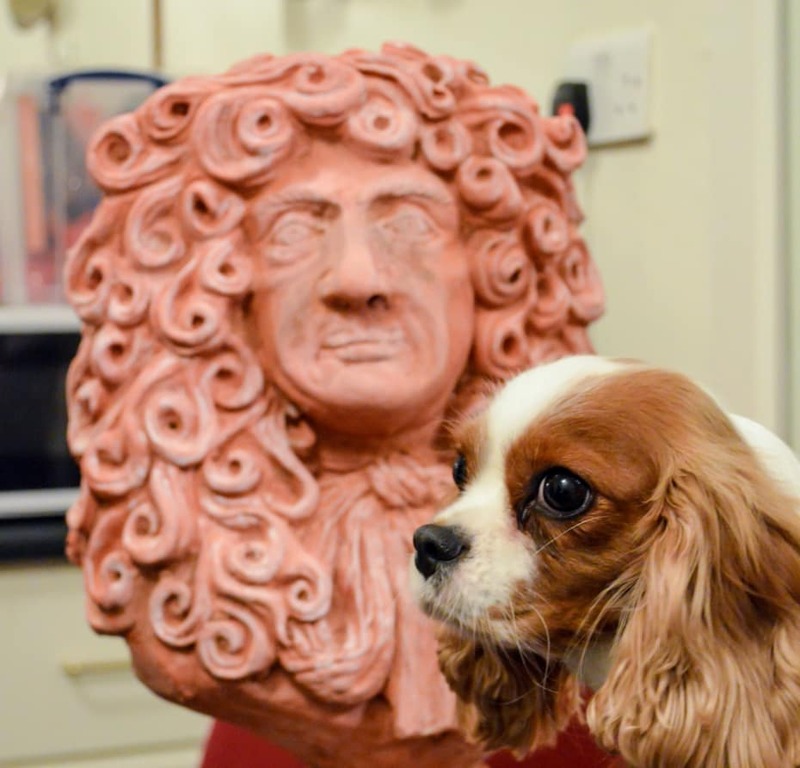 Did you know that King Charles II took his hair inspiration from us spaniels? Long live the perm! 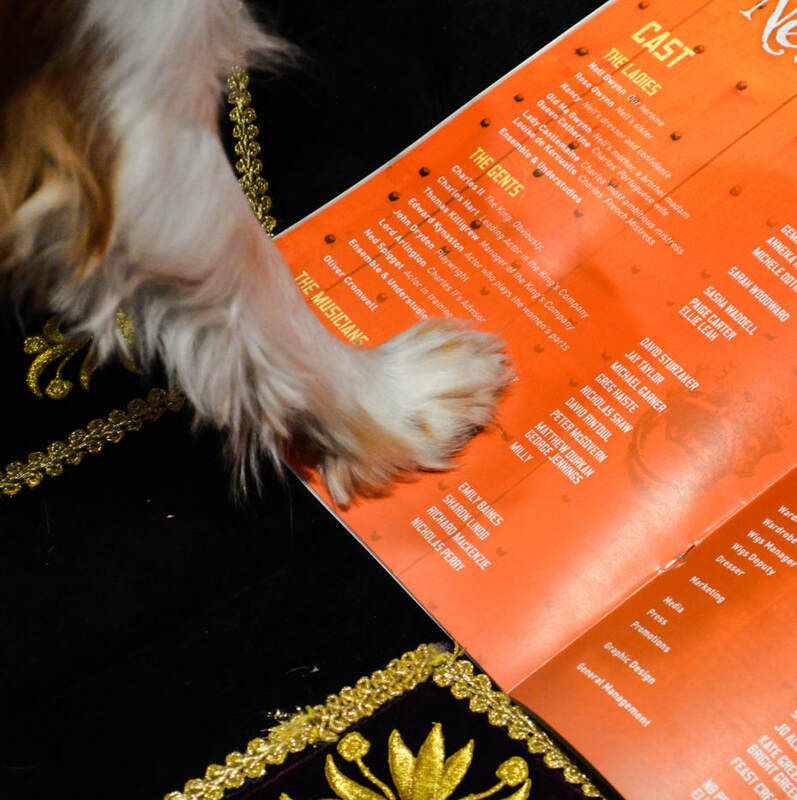 I’ve found my name in the programme! 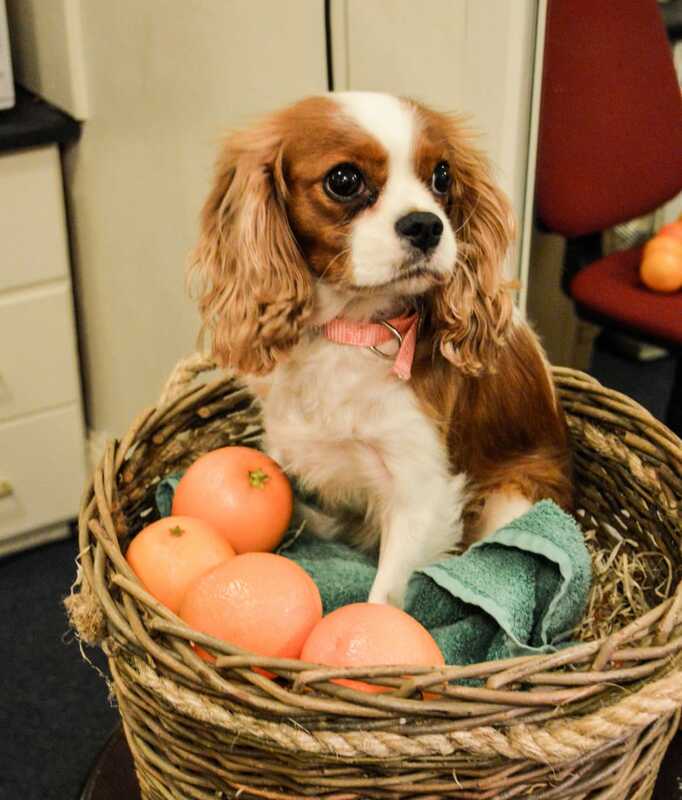 I play Oliver Cromwell, one of Charles II’s top dogs. I’ve been practising my pawtograph for all of my loyal fans. Here I am at the prompt desk making sure that everything is set and ready for the start of the show. 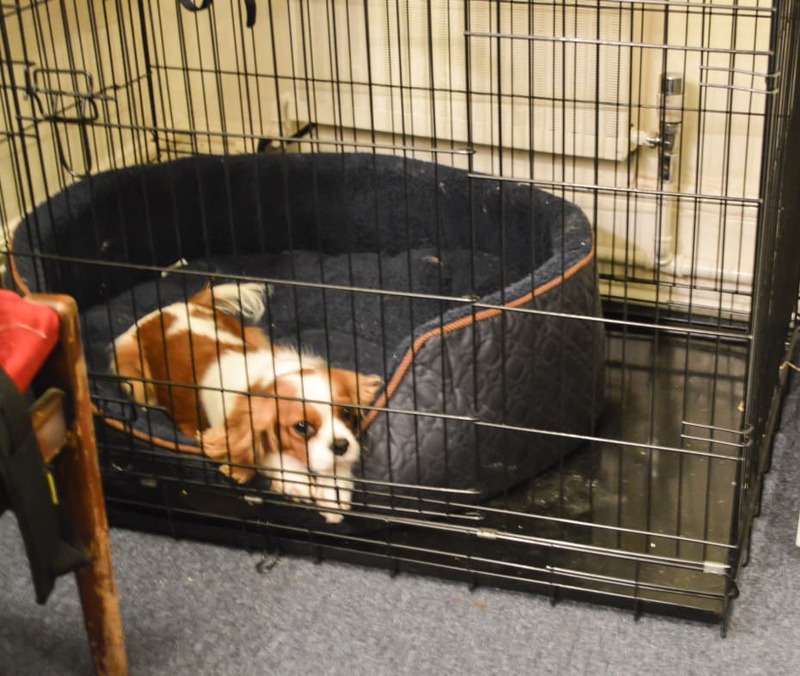 In between the matinee and evening performances, I take a nice, long nap in my bed; it’s tiring work being an actor. 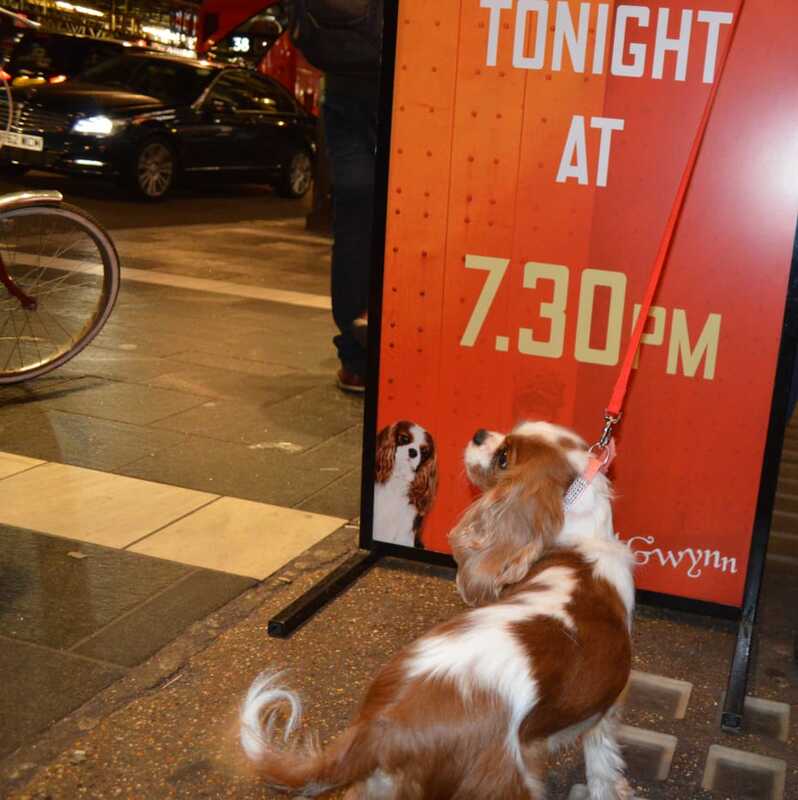 Who’s that devilishly good looking pup that I’ve spotted on the A Board? Show time! 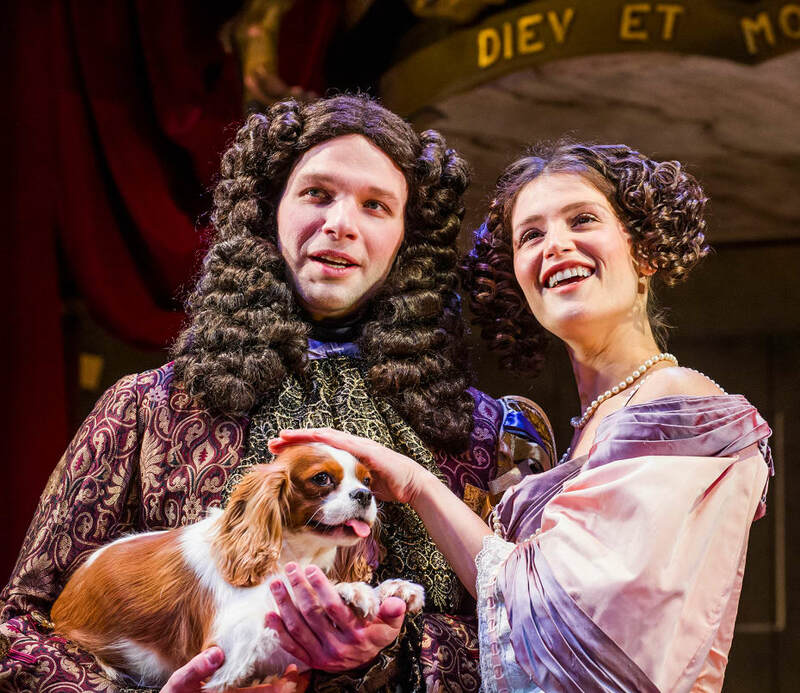 Oh I do love working with Gemma and David – it means lots of on stage cuddles. 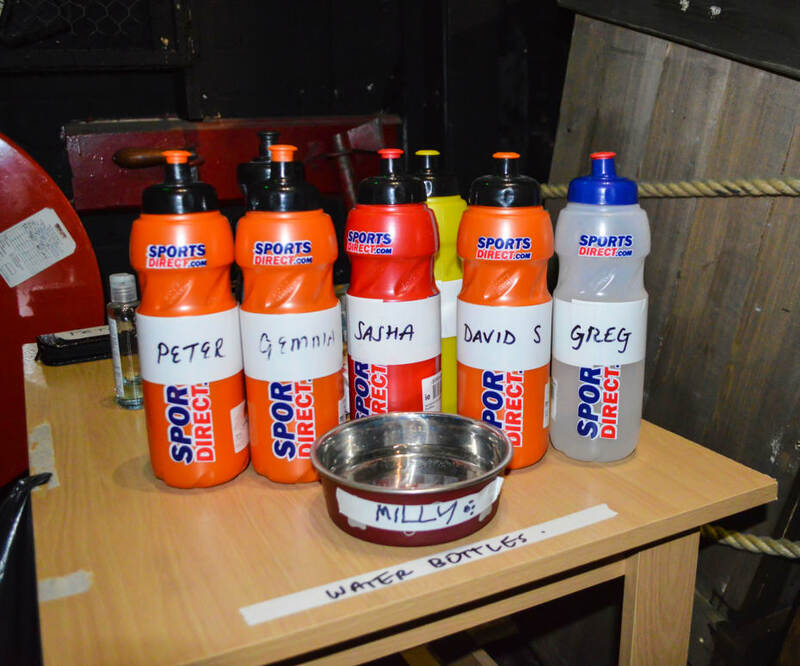 It’s thirsty work being on stage, so myself and my fellow actors have to make sure we stay hydrated. Evening show done. I’m heading off home before another show tomorrow night. Woof! 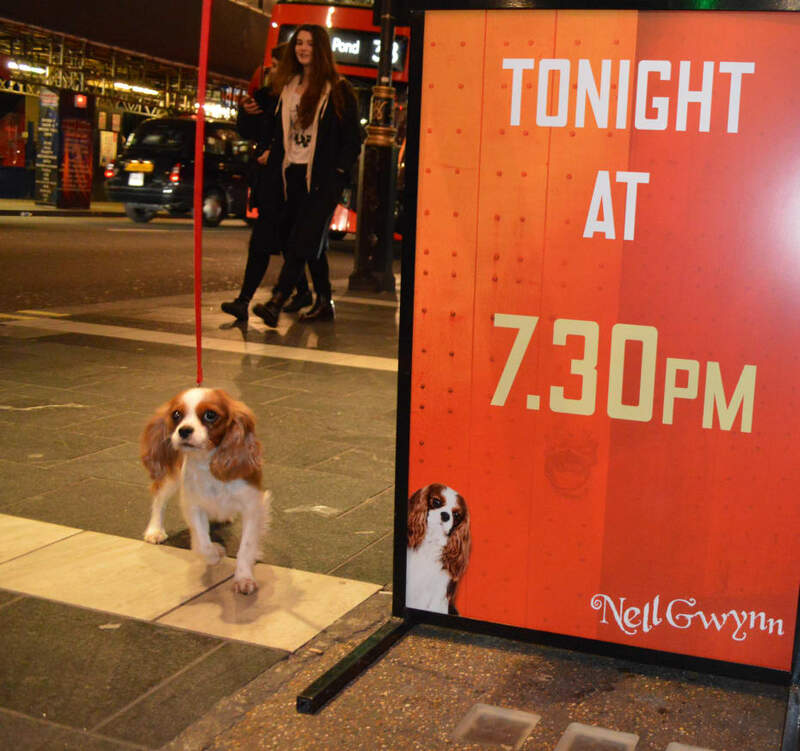 Nell Gwynn plays at the Apollo Theatre until 30 April. 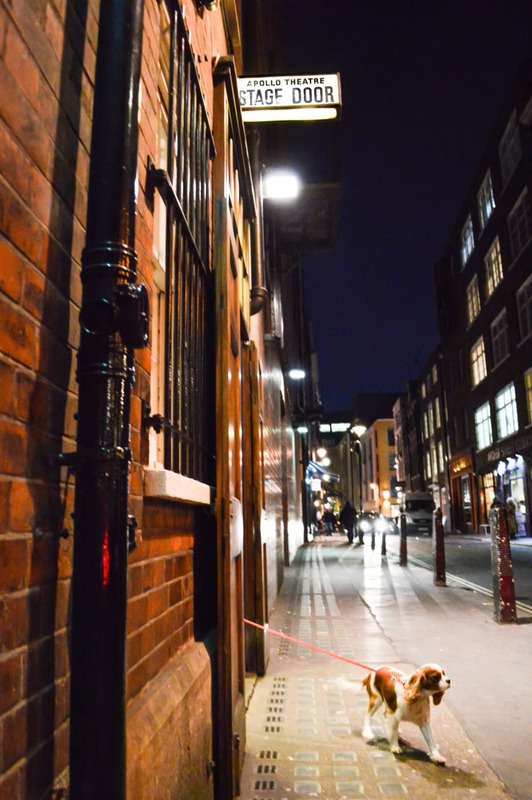 You can book tickets through us here.